Colouring books continue to be a popular form of meditation among adults seeking to experience spiritual calm and inspiration. 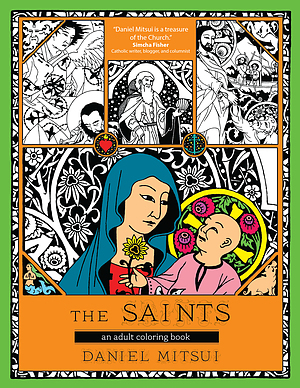 Following his first book, The Mysteries of the Rosary, renowned Catholic artist Daniel Mitsui is back with his second adult colouring book, The Saints. Based on medieval illustrated manuscripts, it consists of thirty elaborate images, including Mary and Joseph, John the Baptist, Peter, Paul, Francis, Lucy, and Brendan. Medieval monks and nuns understood the illumination of their early manuscripts as a form of prayer. You, too, can enter into a contemplative space as you colour Mitsui's beautiful images of saints from the early Church and Middle Ages and the elements they are associated with. You can use any type of media to colour Brendan the Navigator and his boat or Cecelia and her harp. 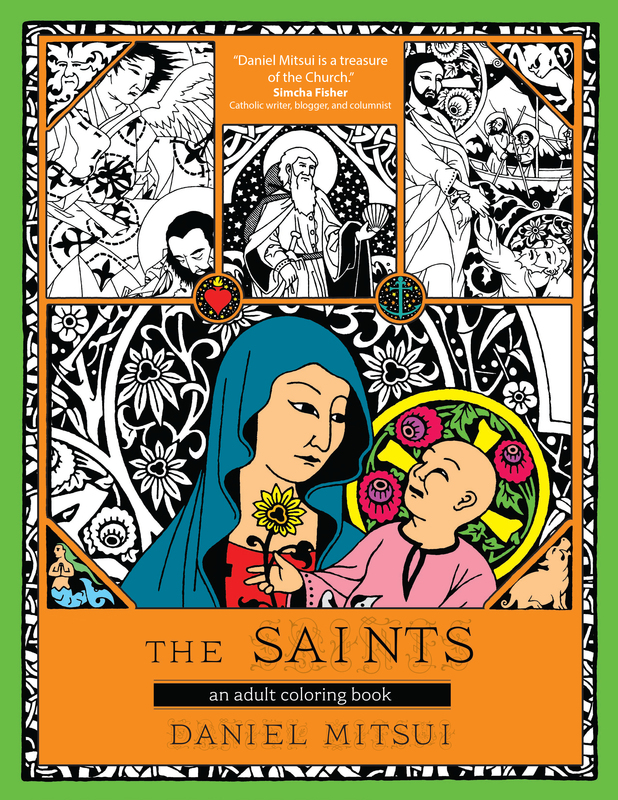 Careful attention to colouring these delightful illustrations of the saints is a wonderful way to reflect on their lives and virtues. The Saints by Daniel Mitsui was published by Alban Books in December 2016 and is our 34604th best seller. The ISBN for The Saints is 9781594717246. Be the first to review The Saints! Got a question? No problem! Just click here to ask us about The Saints.